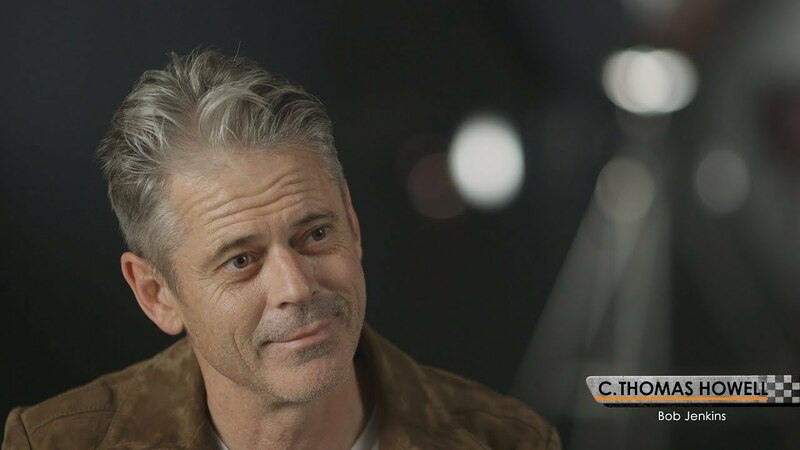 Any list of the greatest talents in the American film industry will not be complete until it has recognized the personality of C Thomas Howell, an actor, and director who has a long list of works to his credit beginning in the 90s and is still expanding till the current time. He made his acting debut as a 4-year-old kid when he was cast in an episode of the Brian Keith Show. From then on, young Thomas Howell began living an eventful life as a child stunt performer and later as a bull rider prior to his teen. Learn more about Howell’s life here in addition to who his wife and children are without leaving out his inconclusive divorce story. The American actor and film director was named Christopher Thomas Howell after he was born on the 17th of December 1966 in the neighborhood of Van Nuys, Los Angeles. He had as his parents Christopher N. and Candice Howell who also birthed his brother named John Howell and two of his sisters: Stacy and Candy. As a young kid, Thomas Howell had a knack for acting and through the help of his father who was a bull rider, stunt coordinator and rodeo performer, he got a role in an episode of The Brian Keith Show when he was as young as 4. Many years later, he had matured into a child stunt performer and bull rider who won the California Junior Rodeo Association’ championship when he was 12. At other times, young Howell spent time with his grandad who took him golfing. His parents would, however, come to get divorced and he got raised for the rest of his young life by his mom. For school, C Thomas Howell studied at Saugus High School where he graduated from in the year 1984 before enrolling at The National Conservatory for Drama Arts. Following the completion of his drama studies at the theatre, Howell went back to rodeo riding which he did for a few years before making his film debut in the year 1982. He acted as Tyler in Steven Spielberg‘s E.T. The Extra-Terrestrial which was followed by his Ponyboy Curtis character in The Outsiders (1983). This earned the upcoming actor, the Young Artist Award for Best Leading Young Actor in a Feature Film. C Thomas Howell’s other film credits then went on to include Tank (1984) alongside James Garner and Jenilee Harrison, The Return of the Musketeers (1989), Payback (1995), The Crimson Code (2000), The Da Vinci Treasure (2006), Troy in The Amazing Spider-Man (2012), Justice League: The Flashpoint Paradox (2013), Rich Boy, Rich Girl (2019) and so many others. His television roles include Two Marriages (1983) in episode: “Relativity”, The Love Boat: The Next Wave (1998) in episode: “Affairs to Remember”, The Poseidon Adventure (2005), Southland (2009–2013), Stitchers (2015–2017) in 7 episodes, The Walking Dead (2018) in episode: “Stradivarius” and so many others. C Thomas Howell is undoubtedly one of those who has it rosy in the film industry. The actor has many works to his name and has remained consistently active with 3 or more film and/or television work year after year. For this, he has racked up a net worth of about $4 million. Beyond his many spectacular works on screen, C. Thomas Howell was once a married man. The actor and producer before his first marriage was previously in a relationship with American actress and television personality Kyle Richards. After Kyle, he met actress Rae Dawn Chong while they were shooting the comedy film, Soul Man. Their friendship started off smoothly and they soon notched up into dating each other before deciding to get married. The duo had a private wedding which held on July 11, 1989, but by 1990, they both walked out of the marriage in a divorce. The reason for this divorce has not been disclosed. Two years after his first marriage ended in divorce, Howell went down the aisle with his then-girlfriend Sylvie Anderson on July 25, 1992. With Sylvie, they became parents to Isabelle Howell (born 17 February 1993) and Liam Howell (born April 24, 2001). Sadly, a quarter-century after their marriage, TMTZ reported in 2016 that the couple were divorcing. The report had it that Sylvie filed for the divorce citing the usual irreconcilable differences as her reason for opting out of her over 2 decades old marriage. On her (former) heartthrob’s part, he revealed that he will always wish the best for her and look forward to what the future holds for them. A few years have passed since after that report was first made and subsequently carried by other news sources, however, there has not been an update on whether or not the divorce has been finalized or perhaps Sylvie withdrew the divorce petition. To add to the abstruse outcome of Sylvie Anderson’s divorce filing against C Thomas Howell, some online sources still list the two as married while indeed there was a divorce petition instituted by one of the parties in the marriage.